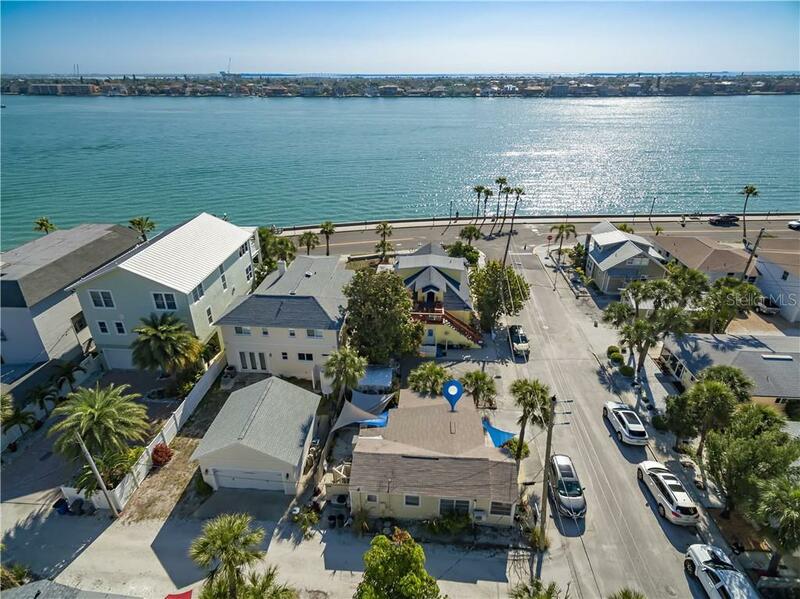 Rare opportunity to purchase a perfect getaway bungalow in historic Pass a Grille. This charming cottage is the perfect destination for a weekend getaway to unwind and relax. According to âPass-A-Grille: A Patchwork of Collection of Memories by Margery Kennedy & Doris Waltz this home was once the townâs school house from 1912-1915 for 17 students in 6 grades. Since there was no bridge, this provided an alternative to ferrying the children to school off the island.â This corner lot home features vaulted ceilings, 2 bedrooms and 1 bath, covered porch and an indoor laundry room. The cottage is situated steps from both the intercostal and the famous Pass-A-Grille beach. After a day at the beach, store the beach chairs and wash away the sand in your outdoor shower. The residence has covered parking for 2 vehicles as well as an area to relax and have a glass of wine before heading back to the beach to watch the sunset. Stroll a few blocks from the cottage and watch the ringing of the bell as the sun fades away for another day while listening to live music every night in downtown Pass-A-Grille. Downtown Pass-A-Grille boast many quaint shops and great restaurants. Whether youâre a local looking for a getaway or reside in the frigid north and need an escape, this bungalow is the retreat you have been looking for in wonderful Pass-A-Grille Florida.